Osamu Tezuka (1928-1989) was like Walt Disney and Jack Kirby rolled into one. His vast talent, imagination and incredibly prolific output earned him the title “god of manga” in his native Japan. His influence endures. The current popularity of manga and anime worldwide has its roots in Tezuka’s work. One of the most precious memories of my life is of spending two days with Tezuka when he visited Montreal in the late 80s. I was invited to dine with him at the Japanese embassy, an unforgettable experience. 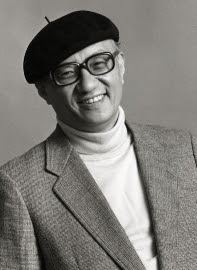 When I left, late that evening, Tezuka said he had to work a couple of hours before turning in. He had to rough out ten pages of comics and fax them to his studio in Japan. Two hours… Ten pages. He must have found time to read, as well. I had left him a big pile of books about comics made in Quebec, and the next morning, when we met for lunch, he knew everything about me and my work. We spoke through an interpreter, and I suppose he must have asked her to translate some of the stuff I gave him, but I suspect he figured out a lot of the info by himself. When I introduced him to fellow cartoonists, he’d take the books out, open them, and point to their drawings. I cannot imagine how he did that. I wonder how much sleep he got in over the 12 hours between our two meetings. I think he impressed everyone he ever met with his enthusiasm and his energy. 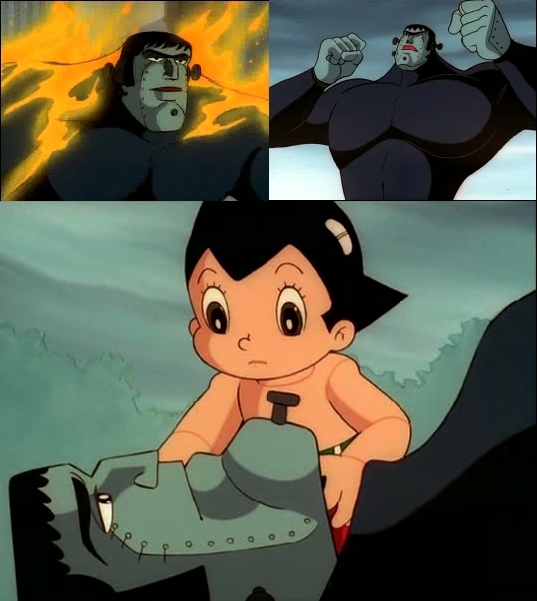 Dr. Tezuka’s atomic-powered robot Pinocchio, Tetsuwan Atomu, is known in the English speaking world as Astro Boy. Here’s an entire episode from the 80s animated series where Astro Boy confronts a giant Frankenstein robot with bolts sticking out of its neck, ears, chin and hips. Go ahead, blow twenty minutes and watch a cartoon: Astro Boy Episode: Frankenstein.